Yubraj an Oxford graduate, completed his medical training as a doctor at King's College medical school in 1991, the first 4 years of his career were then in allopathic hospitals. He moved to homoeopathy with a job at the Royal London Homoeopathic hospital and obtained his registration with the Faculty of Homeopathy in 1996. Yubraj is also a member of the Alliance of Registered Homeopaths, and has Membership of the Royal College of Physicians (London) for postgraduate medicine. He has diplomas in Acupuncture, the Faculty of Homoeopathy, and Law LLB. Yubraj is director of the World of Light clinic and works as a private homoeopath in Wembley, London. He also runs Academy of Light Ltd (publishing company). Yubraj is a founder, Principal and lead tutor for the School of Shamanic Homoeopathy in London. The aim of the school is to run courses for a new style of spiritual homoeopathy, with an integrated approach teaching herbalism, homoeopathy, flower essences, crystals, starlight elixirs, spiritual healing, meditation, astrology and shamanism. There is an emphasis on both standard medical anatomy, physiology, pathology and esoteric new age anatomy; understanding disease in the light of the spiritual world. Yubraj has developed an integration of homoeopathy with many aspects of esoteric lore (such as theosophy, anthroposophy), ancient systems (e.g. Egyptian, Mayan, Chinese) and with wide-ranging topics such as art history, astrology and craniosacral medicine. - Spiritual Bioenergetics of Homoeopathic Materia Medica volume 1 & 2. 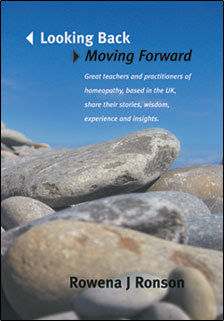 Foreword by Alize Timmerman, Netherlands Homeopathic Institute. This book therefore integrates the keynotes of the mentals, generals and particulars of the 151 remedies with esoteric plant and animal sciences, alchemy of the minerals and elements, toxicological data, spiritual principles, anthroposophical medicine, astrological patterns, oriental medicine diagnostics and craniosacral therapy diagnostics. There are also glossaries of the basic principles of astrology, oriental medicine and craniosacral therapy, as well as a periodic table and taxonomy chart. There are caricature illustrations of 45 of the remedies, to provide a humorous depiction of the personality features of these constitutional remedies. The book is indexed with keywords and contains a bibliography. This volume 1 is a textbook primarily for homoeopathic doctors and students, and for practitioners of other modalities interested in integrating homoeopathy with Chinese medicine systems, craniosacral therapy or astrology. It is unique in integrating the spiritual and cultural aspects of the medicines and their relationship to other therapies. Nonetheless, many lay readers find it opens the subject for them in a very readable and clear style. Homoeopathic medicine is currently undergoing a major revolution with respect to its materia medica, repertory and role within healthcare. It is one of the mainstream fields within complementary/alternative medicine, alongside herbalism, osteopathy, chiropractic and acupuncture/Chinese medicine. Many homoeopathic practitioners will have additional training in these other areas, as well as healing, counselling and the like. There is therefore a demand for an integrative approach to the materia medica. The remedies, old and new, require understanding within the context of other subjects. This is not only for continuing professional development, but provides a basis to more effective and good practice in assisting the patient. For the purposes of this book, the diagnostics of anthroposophical medicine, astrology, craniosacral therapy and oriental medicine have been integrated with the profiles of 151 remedies. If a practitioner were trained and skilled enough in these subjects then it is possible to weave a much more comprehensive profile of the biography, karma and state of health of the patient - and select the remedy based on vital energy. Samuel Hahnemann, the founder of modern-day homoeopathy, discussed the role of the vital energy in the health of the individual. It behoves homoeopaths to now enter the vital energy deeply, to understand the laws of vibration at subtler levels…. It is an artbook with original illustrations of each of the medicines, images of the pathologies that medicine treats within the human body, selected museum art and new art on the craniosacral and Oriental medical systems. The latest book by Dr Yubraj Sharma, and is a spiritual primer covering a wide range of topics within the field of personal and spiritual development. These include: enlightenment, nature of self, spiritual genetics, nature of light, the stages of past and future earth evolution including Lemuria and Atlantis, the developmental stages of the soul, the shadow and underworld, karma, reincarnation, the nature of the bodies (physical, etheric, astral, mental, spiritual), dimensions of reality, the interior of the earth, chakras, elemental nature spirits, extraterrestrials, nature of human development and animal kingdoms including the role of the ape, soul psychology and 7 year cycles of development during life, spiritual embryology and genesis.